Yesterday, Christians all over the world celebrated Easter, the victory of God over the evil one. As Christ-followers, we celebrate the resurrection because it is the day when death, hell, and the grave were defeated and victory was made possible for us through Jesus Christ. Tipton Trinity launched their Kokomo campus yesterday. 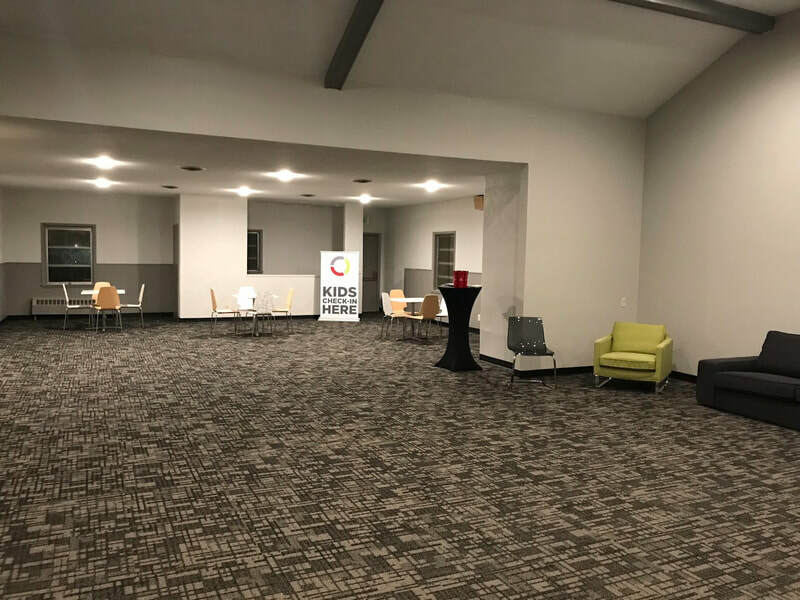 The Trinity team has been busy the last few months renovating the Kokomo facility and they were excited to welcome 98 people to the first service in the new space. Across the two campuses, they had 433 in attendance, baptized 6, and had 18 decisions for Christ. The River, with campuses in Marion and Chesterton, had over 1,000 in attendance and celebrated decisions for Christ on both campuses. New Carlisle’s attendance was approaching 300 this weekend and had 6 commitments of faith. RE.THINK Church in Merrillville had 85 in attendance with 4 people stepping across the line of faith. 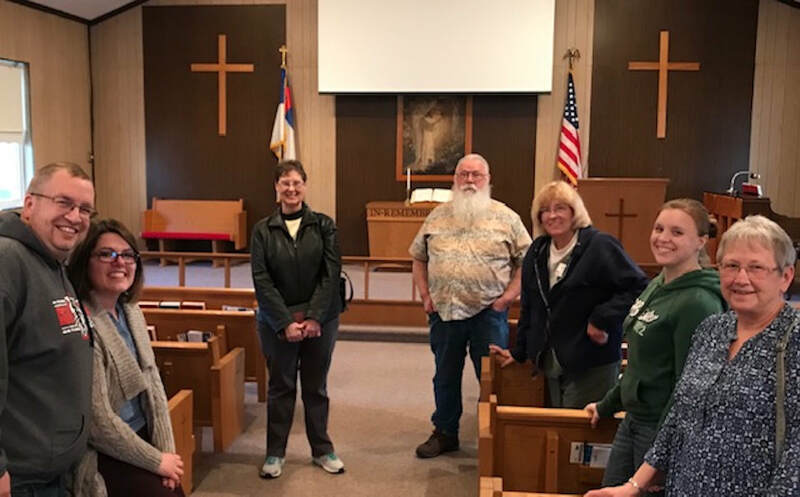 Their volunteer team (pictured below) spent focused time in prayer on Sunday morning before they welcomed the congregation into the worship center. Brinker Heights in Marion had 7 people make commitments to Christ. 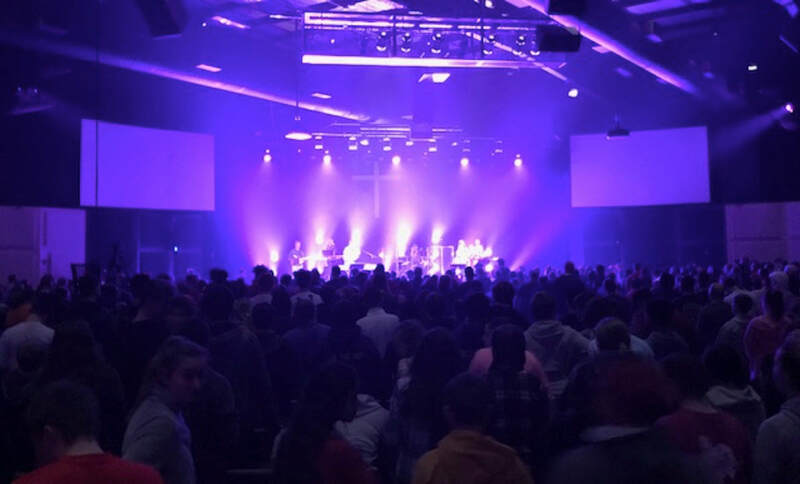 Eastview, with campuses in Gas City and Jonesboro, had 475 in attendance with 6 new professions of faith. Eastview is celebrating 19 people coming to faith during the month of April! ​We’d love to hear updates about what happened at your church as you lifted up Christ on Easter Sunday. Send your celebration stories to chris@crossroadsdistrict.org. As a reminder, the end of the fiscal year for Crossroads District churches is April 30, 2019. All year-end reports are due by May 15, 2019. CSF payments for the 2018-2019 fiscal must be received by May 10, 2019, in order to be recorded for the current fiscal year. All payments received after May 10 will be recorded for the next fiscal year. If you have questions or if you need assistance with year-end reports, please contact Roxene Lo in the district office (roxene@crossroadsdistrict.org or 765.674.8593). Thanks in advance for your prompt attention and timely submission of your reports! The Festival on Outreach will be a great opportunity for your whole team to network and interact with other churches, Global Partners, World Hope, and World Gospel Mission and learn how to go beyond projects to building missional partnerships. ​The Festival on Outreach will be held on May 20-21, 2019 at College Wesleyan Church. Cost is $35 or $25 for groups 5 and over. We hope you can attend this great event, you will leave inspired and challenged. Rev. Tim McClellan, the senior pastor at Lakeview Church in Marion, had surgery last week to remove cancer. He is still in the hospital recovering from surgery and waiting to learn the next steps of his treatment plan. Please continue to lift up Pastor Tim, Cynthia, and the Lakeview congregation during this time. Rev. 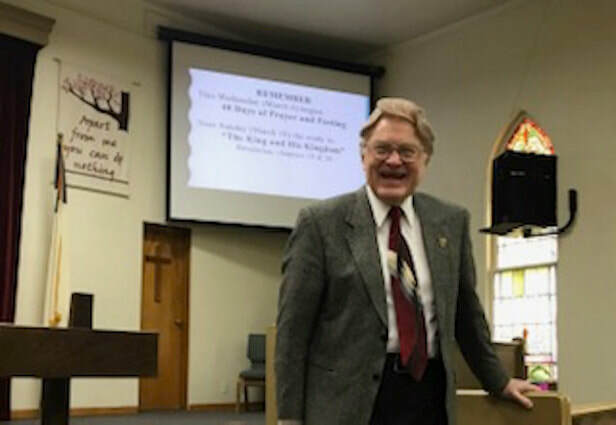 Chuck McCallum, a retired minister in the Crossroads District and former pastor of Westview Wesleyan Church in Jonesboro, had surgery on Saturday to correct a 90% blockage they found in his carotid artery. The surgery was successful and Rev. McCallum is likely to be released from the hospital early this week. Your continued prayers are appreciated. 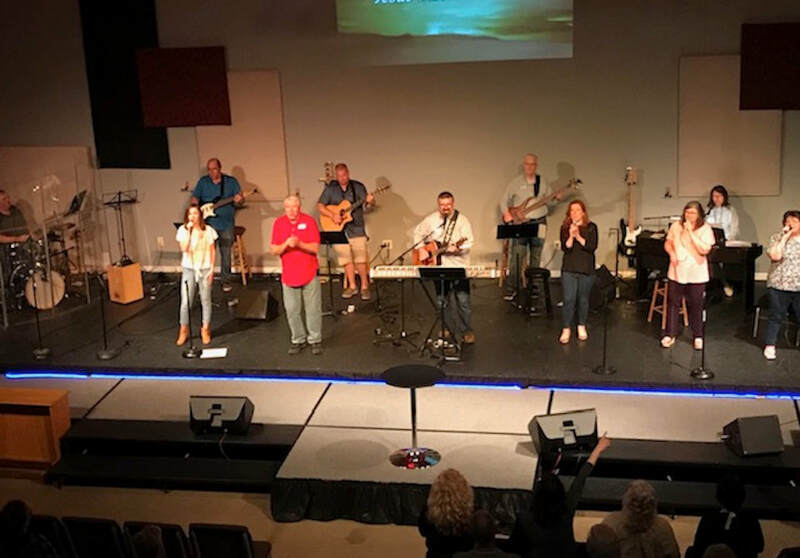 I had the privilege of worshiping with Pastor Don Bayne and the team at New Carlisle Wesleyan Church in both of their morning worship services. 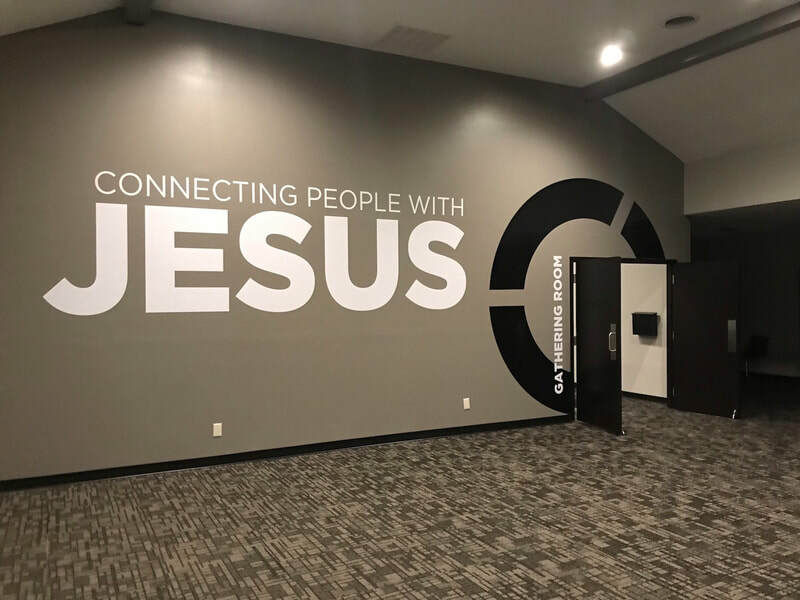 Pastor Don has been leading the church through a sermon series on “The Life and Times of Jesus Christ.” New Carlisle is one of our churches that has embraced the challenge of change to more effectively reach their community for Christ. Today was Friend Day and guests were registered in a drawing for University of Notre Dame football tickets. After bringing greetings in both services and connecting with board members, I made it over to South Bend in time to join Pastor Terry and Lennaire Vaughn at “The Bridge Urban Church.” In spite of the bad weather, they had 43 in attendance including 8 teenagers, 11 children and 2 first-time guests. They have amazing creative talent for a young church and a launch team that is committed to the vision. 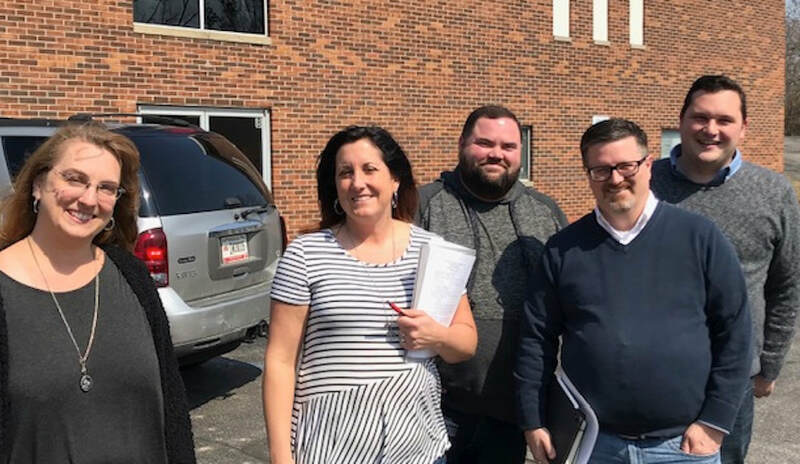 Plans are coming together for their launching event called “Love Our City.” Pastor Troy Evans and the team from “The Edge” in Grand Rapids, Michigan are coming in to help with this outreach event on May 25. Continue to pray for the Vaughn’s and this strategic church plant. My final stop of the day was in Elkhart at Cielos Abiertos Iglesia Wesleyana, our Hispanic ministry led by Rev. Jose Eliorgy Guerrero. I appreciated the spirit in the service and the meaningful prayer time they shared. After the service, Rev. Frank Gonzalez, pastor of Vida y Esperanza in Goshen, joined us for a planning meeting. Both churches are planning baptisms for Easter Sunday and Pastor Gonzalez has 35 members ready to join the Wesleyan Church. 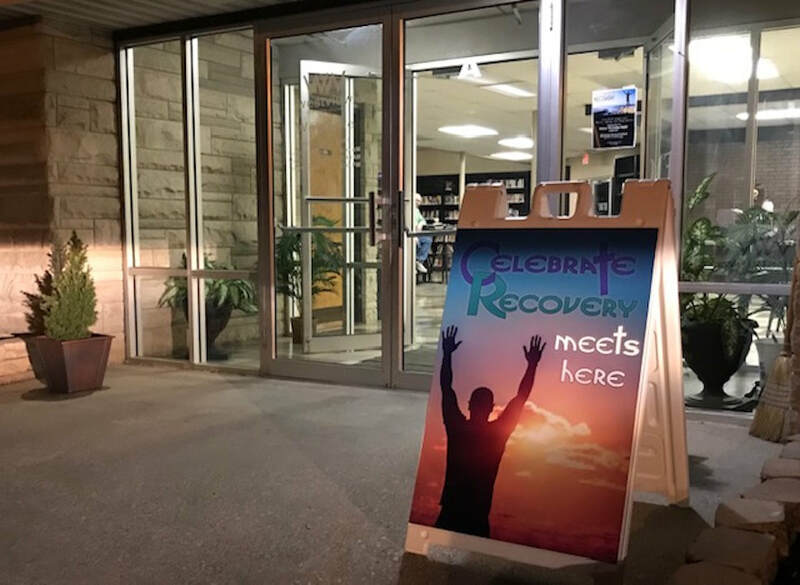 We’re planning on an evening rally for June 9 when both churches will come together for a celebration of ministry partnership. 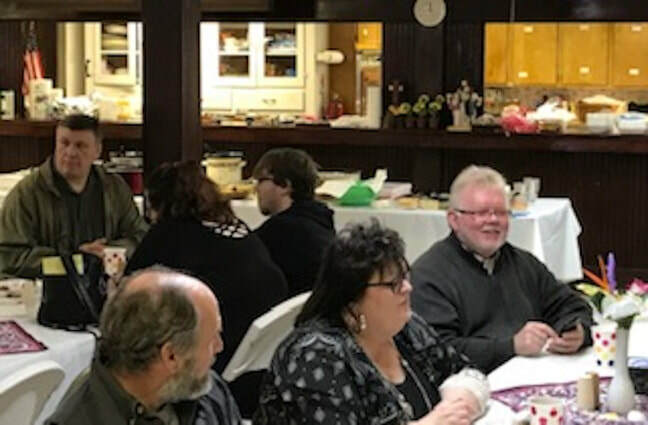 ​After a restful Sabbath on Monday, I was refreshed to hit the road again on Tuesday beginning in Marion with our staff meeting, then a budget meeting, and interviewing a prospective candidate for one of our churches. I met with Pastor David Cox (Laketon Wesleyan) in Warsaw for our annual coaching conversation. Suzanne, David’s wife and ministry partner, was able to join us. I’m grateful for these bi-vocational leaders who are making a big difference in a small community. My next stop was at Beaver Creek Wesleyan Church (just outside South Bend) as they commence their search for a bi-vocational pastor. Following the LBA meeting, I met with Rev. Steve Runyon who has been serving effectively as their supply pastor. This was my final coaching conversation with Pastor Steve before he and Nancy move to Michigan to build their retirement home. The church has been making a comeback under Pastor Steve’s leadership, doubling in attendance over the past 3 years. Pray that God will direct the search process at Beaver Creek and provide the pastor to build on this progress. ​Wednesday morning, I met with Pastor Johnnie Blair (Tipton Trinity) for our annual conversation. 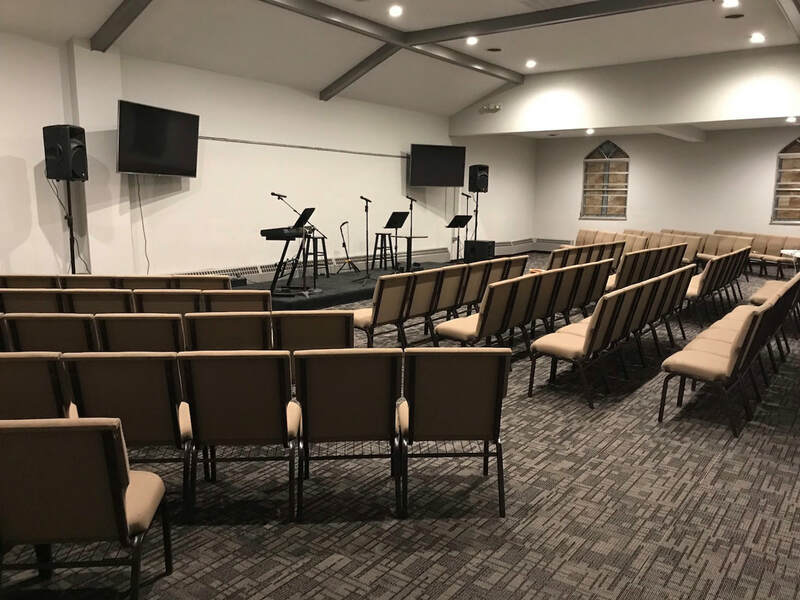 The ministry of Tipton Trinity is expanding with the addition of the Kokomo Trinity Wesleyan as a part of their network. They’re in the middle of renovations in Kokomo, so Pastor Blair and I dropped in to check on the progress. My next appointment was with a prospective candidate for another one of our churches. I’m grateful for the leaders who are joining the Crossroads District team in our mission. My final appointment on Wednesday was in Frankfort with Rev. Harold Henson, pastor at Colfax Wesleyan Church. Angie, his wife and ministry partner, was able to join us for this coaching conversation. 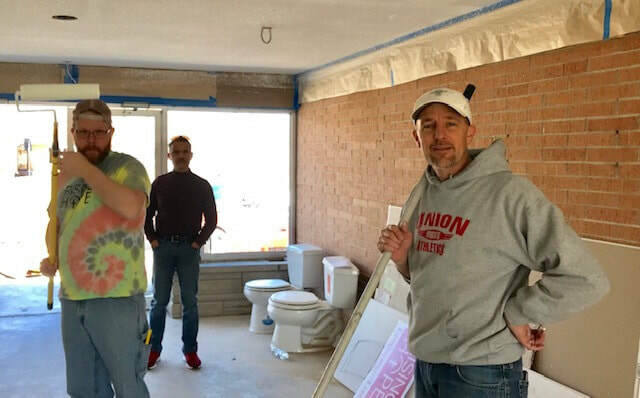 It’s been a busy first year for the Henson’s as Harold graduated from Wesley Seminary with his M.Div last April, began serving at Colfax Wesleyan last summer, and they’ve just recently moved into their new home. The highlight of Thursday was the Conference Action Committee meeting. Our team engaged in meaningful and productive dialogue. They recommended four action items. Copies of these recommendations will be forwarded to our delegates on May 23 for their consideration at district conference, on June 22. 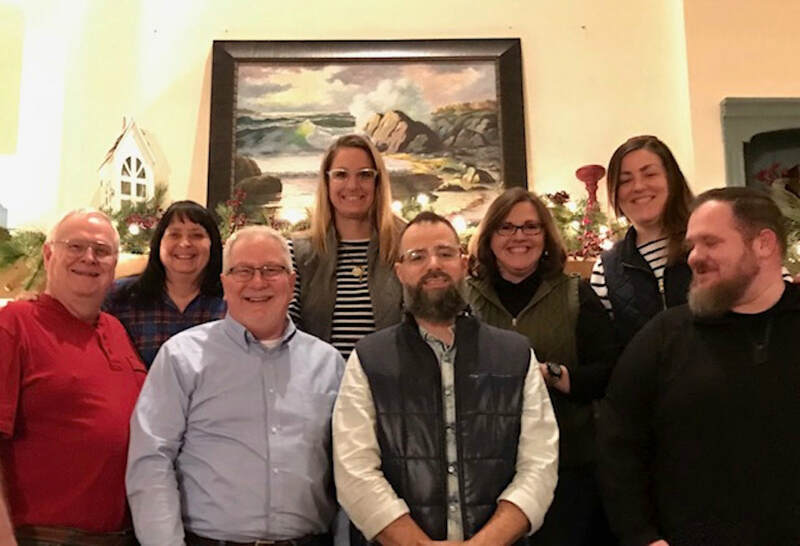 ​Also on Friday, the Heartland Region superintendents and staff met via ZOOM to continue the planning for the 2020 Heartland Regional Gathering in Pigeon Forge (March 10-12). Registration will open up on August 1 and the early bird fee will be only $300 for a couple. This event will also include a programming track for children. Hold the date on your calendar and stay tuned for more details at district conference. Friday evening, Sherry and I hosted pastors and spouses from the Madison County Zone. Two of these four pastoral couples are new in their roles so it was good to share this time of fellowship, laughter and prayer with these colleagues in ministry. ​Saturday was a special time for our Crossroads District team as Dr. Jim Lo and our intercession team welcomed pastors and lay leaders to our inaugural prayer retreat. We shared in a concert of prayer for the first hour and then moved into more specific areas of intercession in the second hour, including anointing with oil for special requests. The dominant theme of our prayer time was the Easter weekend opportunity for evangelism. We also discussed developing prayer gatherings in each of our regions from 2 or more times each year and the opportunity to take a busload of leaders to Brooklyn Tabernacle this fall for their Tuesday evening prayer gathering (you can learn more about that by reading Rev. Jim Cymbala’s book “Fresh Wind, Fresh Fire.”) Thank you to Dr. 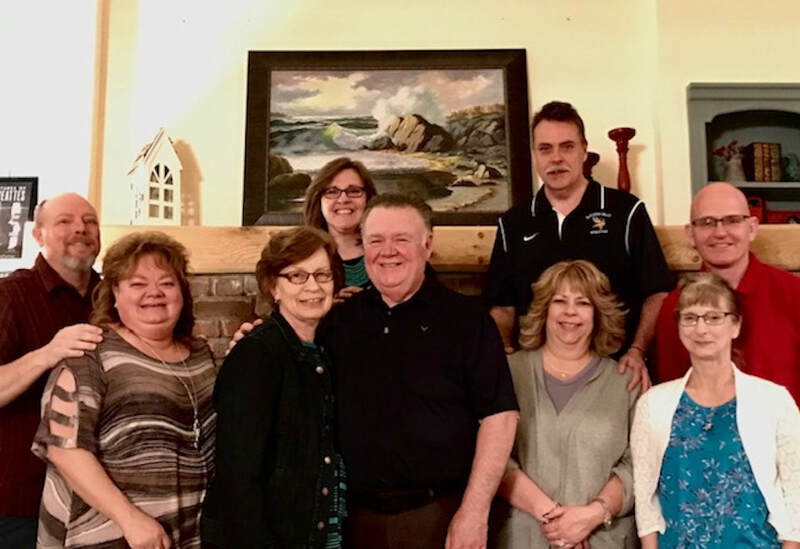 Lo and his leadership team and to Mrs. Angela Spangler and her team at Fairmount Camp who were gracious hosts for this gathering. Thank you for answering God’s call to advance His Kingdom! Sherry and I will be away celebrating our 35th anniversary, departing on Tuesday, April 16, and returning on Sunday, May 5. We will be turning off our phones for the duration and will have only intermittent access to our email. We are looking forward to this vacation break and are taking seriously the advice of those who encouraged us to totally unplug. Rev. Trexler will be chairing the DBA in my absence and Rev. Chris Williams will be leading the district office team over the next 3 weeks while I’m out of the country. I’m confident that our district staff will serve you with excellence in our absence. Thank you in advance for completing your year-end reports on time! Sunday morning, April 7, I had the privilege of being on the ground as three of our congregations took new steps in multiplication. My first stop was at Lapel Daybreak Church with Pastor Andy Cole. It was exciting to sense the momentum as their team launched a new, second morning worship experience. My next stop was in Pendleton to check in with Pastor Joe Deckard and the team at Waterline’s new campus. I arrived in time to be part of the preview worship experience that they offer for their volunteers. I connected with Joe as they prepared to welcome 100 people who worshiped at the Grand Opening service. ​Special thanks to General Superintendent Dr. Wayne Schmidt for jumping in as part of that special day. Praise the Lord that two people prayed to receive Christ yesterday and 5 new believers are scheduled for Easter baptism. Congratulation to Pastors John & Danielle Freed and Waterline Church for their multiplication vision and generosity! My last stop of the morning was in Jonesboro at the new campus of Eastview Wesleyan Church. 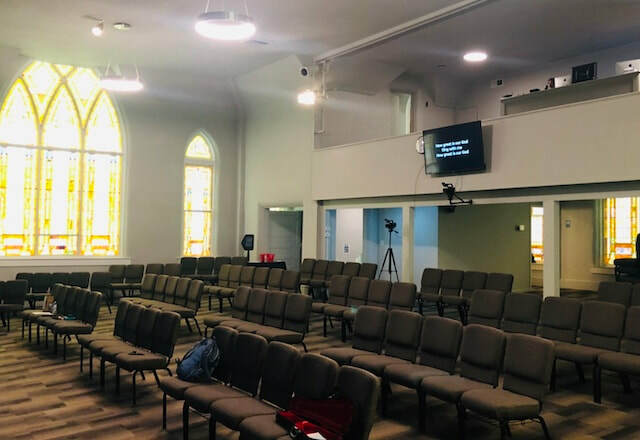 Many of you will remember that Jonesboro Main Street Wesleyan voted last year to discontinue their ministry and to reach out to Pastor Mark Atkinson and the Eastview team to consider launching a campus in that location. Assistant Pastor Noah Farmer is leading the team of volunteers at this site and they welcomed 47 in worship yesterday. ​That’s just a snapshot of the creative ways in which churches in our Crossroads District are envisioning multiplication opportunities. We cannot expect a different level of results when we keep doing the same things over and over again. What next step of faith might God be calling your church to take in making more and better disciples? 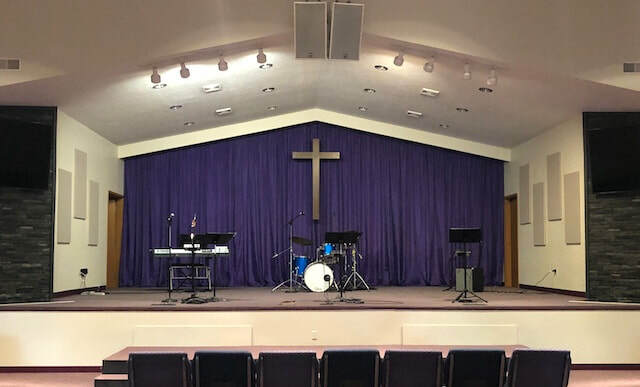 Sunday evening, I met with the LBA at Monon Wesleyan Church as they commence their search for a part-time pastor to lead a turnaround for this ministry. Monon is a small rural community with a growing Hispanic population. Please join them in praying that God will direct them in the leadership transition. Last week began with a quick trip on Monday to Davis Wesleyan Church near Hamlet (northwest of Plymouth) to meet with Pastor Matthew Ohime and their leadership team. Pastor Ohime has been serving as interim (supply) pastor this year and the church is making new strides. They voted 18-1 on Sunday to enter into Developing Church status as part of an intentional revitalization project. Pastor Ohime received a 21-0 recommendation to be appointed as their pastor to lead this project. ​Rev. Chris Williams, our Assistant DS, will be leading a Maximizing Impact team for a consultation at Davis Wesleyan later in June. Pray that God will honor their passion to reach their rural community for Christ. 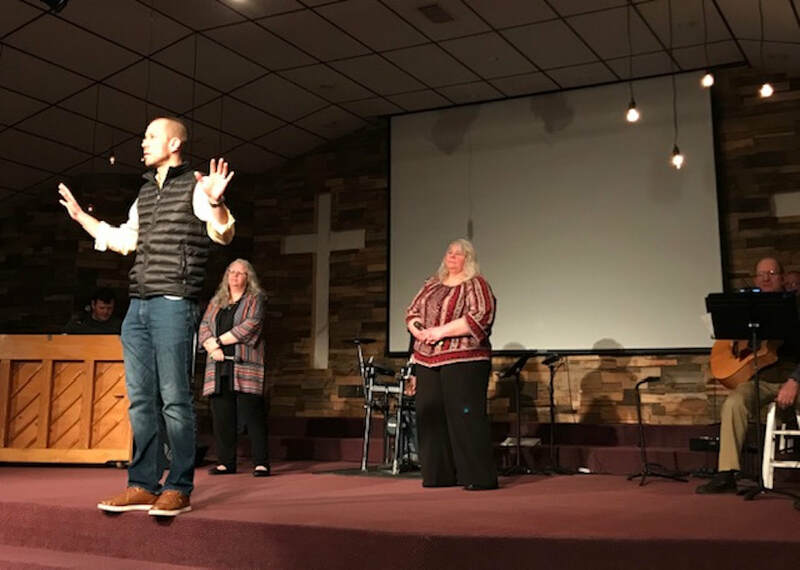 Tuesday morning, I met with Pastor Tim McClellan and the staff at Marion Lakeview Wesleyan Church as he shared the sobering news of a recent cancer diagnosis. Pastor Tim also shared with the Lakeview congregation yesterday morning. He has additional tests this week before his doctors determine his treatment plan. We are joining Tim and Cynthia in prayer and believing that our Great Physician will be glorified in this journey. After our weekly Tuesday morning office staff meeting at The Abbey Coffee, I met with a prospective church planter in Noblesville who welcomed a conversation about potential partnership with The Wesleyan Church. 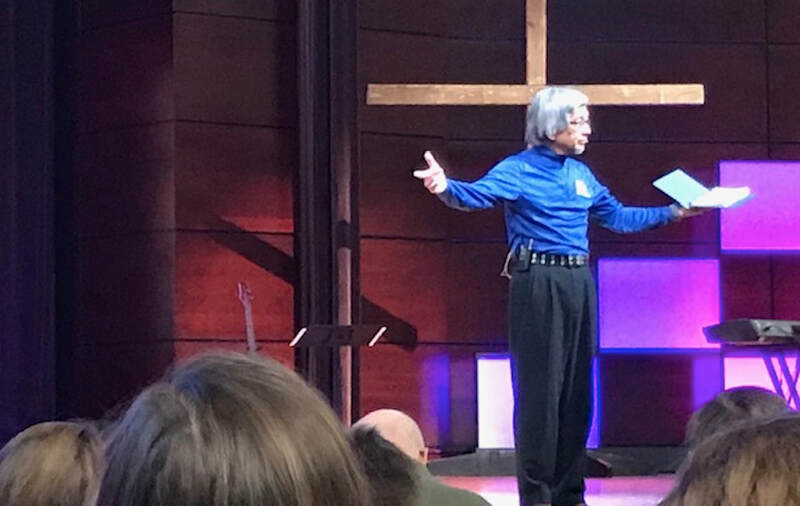 ​Wednesday morning, I was able to worship at the IWU chapel service and hear Dr. Jim Lo preach a message on spiritual warfare. I was encouraged to learn that IWU has scheduled Dr. Lo to teach a credit course (REL-488) on Spiritual Warfare this fall. Classes will be held Monday evenings (6:15-8:15) and there will be an option to audit the course. Pastor Matthew Stewart (Sweetser Wesleyan) and I met over lunch for our annual coaching conversation and then I met with Pastor Allen Laws on Wednesday afternoon for our coaching conversation in Warren. 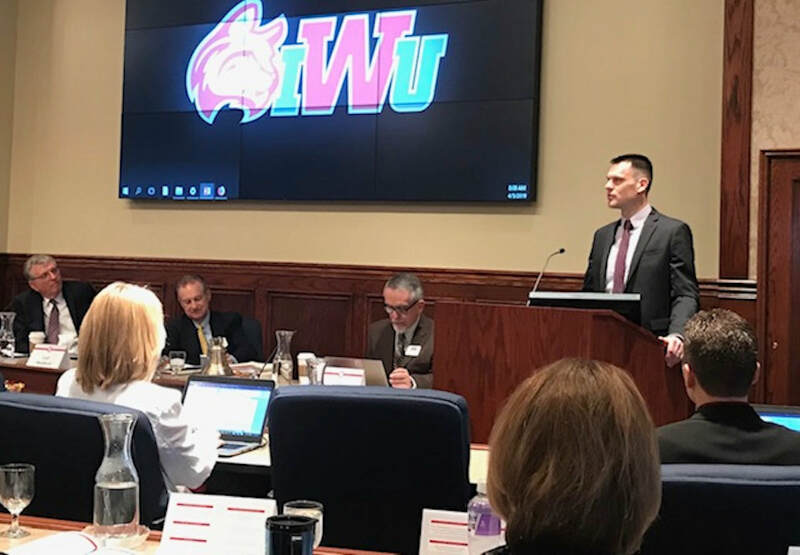 Thursday and Friday, I had the privilege of representing our Crossroads District as a member of the Indiana Wesleyan University Board of Trustees. One of the highlights was the devotional shared by Coach Greg Tonagel, head of the men’s basketball program. ​Dr. David Wright, our president, is a wonderful leader who does an amazing job of navigating IWU through the challenges of Christian higher education in an increasingly hostile environment. I appreciate the focus that Dr. Wright and his team have been giving to make sure that faculty and staff fit the mission of IWU. They have recently updated the rigorous interview process to ensure that all new employees embrace the beliefs and values that we hold dear. Please keep President Wright and IWU in your prayers and support our college in every way that you can! 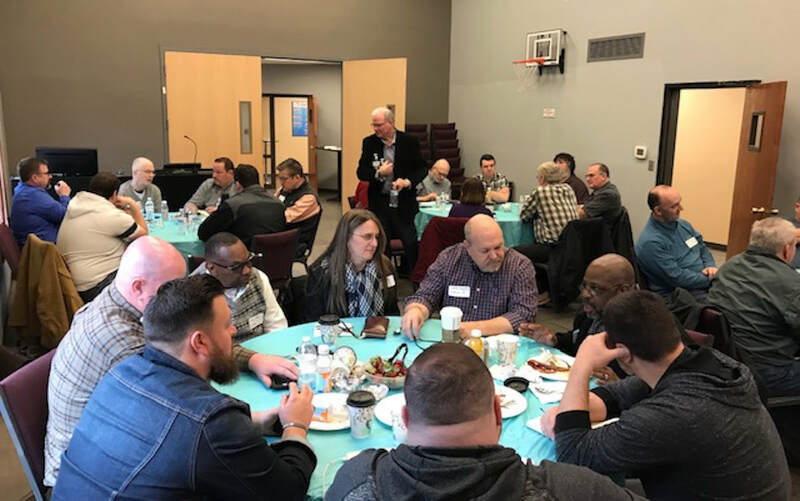 On Saturday, more than 200 lay leaders and pastors from the Crossroads District gathered at Brookhaven Wesleyan Church for ReEquip 2019. We were blessed by our keynote speakers Dr. David Smith and Rev. Mike Hilson (NewLife Network). There were wonderful breakout sessions on multiethnic ministry, children, youth, worship and discipleship. The Branch Coffee Shop (Fairmount Wesleyan) catered a delicious meal. Pastor Josh Lavender and his team from Indianapolis Trinity Wesleyan led us in heartfelt worship. Pastor Tony Bye and the team at Brookhaven were incredible hosts for the event. Special thanks to Pastor Amanda Blair and her leadership team who worked hard to create and produce this impactful and affordable learning experience for our lay leaders and pastors! This Saturday, April 13, you’re invited to join us for our Crossroads District Spring Prayer Gathering. Dr. Jim Lo and his team will lead this meeting at Fairmount Camp. We’ll begin at 10:00 and a free lunch is provided. While the sessions will conclude after lunch, the campground will be available for you to continue in prayer as we prepare for Easter. This past weekend, March 29-31, Rev. Chris Williams and I came alongside Pastor Matthew Stewart and the team at Sweetser Wesleyan Church for a StratOp planning retreat. 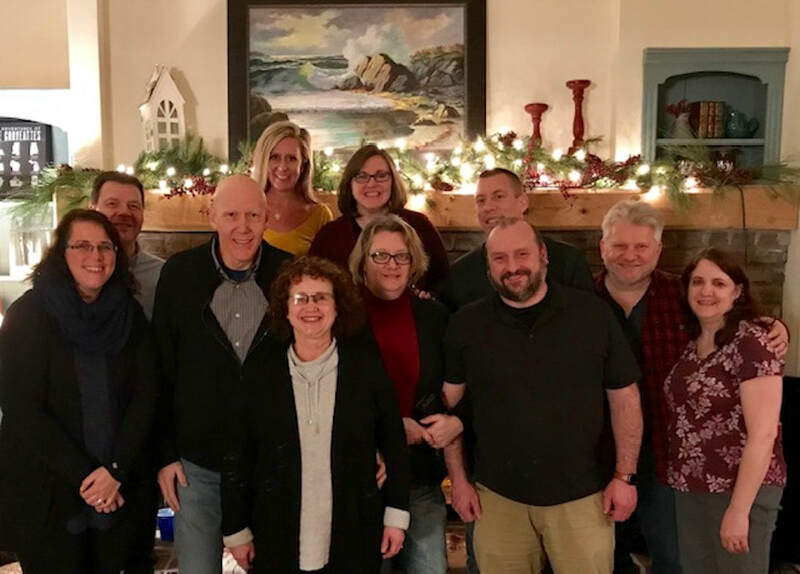 The leadership team gathered on Friday night, all day Saturday, and Sunday afternoon to gain perspective and to plan their action initiatives for the coming year. Chris and I also had the privilege of worshiping with them on Sunday morning as Pastor Matthew preached from John 9. Sweetser is another of our Maximizing Impact churches that is making progress in moving from an inward to an outward focus. They are seeing new families reached through the effective preschool program that Jennifer Stewart leads. Sweetser Wesleyan also is known for mentoring IWU ministerial students. I’m encouraged by churches like SWC that have a vision for Kingdom impact! ​Last Monday, I joined Dr. Wayne Schmidt, GS, and District Superintendent colleagues for a Zoom meeting. Dr. Schmidt is a wonderful encourager and takes time each month to connect with superintendents through this online forum. 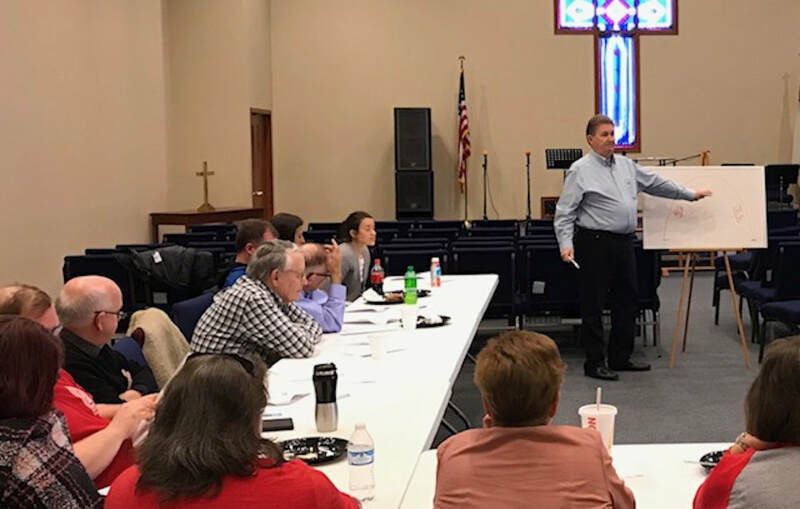 He shared an update on the progress in selling the property and revisioning Hephzibah for a new season in resourcing Wesleyan churches and families to serve vulnerable children. Hephzibah’s board has elected a new chair, Rev. 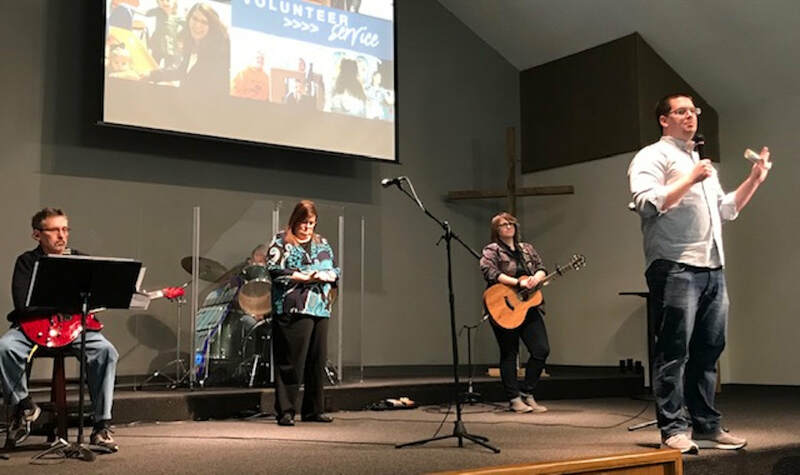 Anita Eastlack, and hired a new Executive Director, Jodi Lewis, R.N., who has been leading a ministry like this at Kentwood Community Church (Grand Rapids, MI) for more than a decade. This week’s WesLife e-newsletter will have details. Continue to pray for and support Hephzibah! The Wesley Seminary Board met at Indiana Wesleyan University on Tuesday. While these are challenging times for all of higher education, Wesley Seminary was able to report increased enrollment for the year, with growth in their M.A. programs and the new Doctor of Ministry degrees. Wesley Seminary now offers the MDiv fully online and is one of only a handful of accredited seminaries who are also able to offer their degrees in Spanish. Rev. Stan Hoover has effectively chaired this board since the seminary was founded and at this, his final meeting, he prayed over Rev. Phill Tague who is succeeding him as chair. Pray for Dr. Colleen Derr as she leads the seminary into a bright future. ​Wednesday, I was on the road for coaching conversations with Rev. Jarod Osborne (Warsaw Pathway Church), Rev. Greg Holmes (South Bend Sonlight Fellowship) and with Rev. Terry Vaughn (South Bend The Bridge Urban Church). Before heading home, Pastor Terry and I dropped in on the midweek discipleship training they offer at the public library in downtown South Bend. I also had the opportunity to visit with Rev. Jose (Eliorgy) Guerrero on my way to South Bend. He is doing a wonderful job leading our Hispanic ministry expansion in the northern part of our Crossroads District. Thursday, morning, I met with Pastor Tim McClellan (Marion Lakeview) for our annual coaching conversation before joining the District Conference planning team meeting at Abbey Coffee. After lunch with that team, Rev. 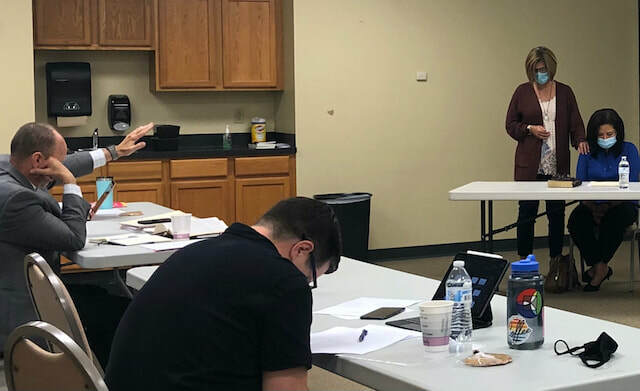 Amanda Blair convened our ReEquip steering committee for final logistics and a walkthrough at Brookhaven Wesleyan Church where we’ll be meeting this Saturday. I am really looking forward to this leadership training event for our pastors and lay leaders featuring Rev. Mike Hilson and Dr. David Smith. Last year, more than 200 joined us. Our team is ready to welcome you! ​Later Thursday afternoon, I met with Joel Hunt, Wesley Seminary’s Director of Advancement. We are excited to announce that Rev. Dan LeRoy will be a guest speaker at Wesley Seminary on Tuesday, June 4. Dan authored the book, Rediscovering our Holiness Heritage, and he will share from his lifetime perspective in the holiness movement. The evening session (7:00-8:30) will be free and open to public. Mark your calendar and plan to join us for this conversation about the present and future of the holiness movement. Friday morning, I met with Assistant DS Williams for planning as we move into the final month of this conference year. I also had the opportunity to interview a prospective pastor over lunch before heading to Sweetser. This student will be graduating from IWU this spring and we discussed ministry opportunities in the Crossroads District. I’m always encouraged to hear stories of life change and progress in our churches. Rev. 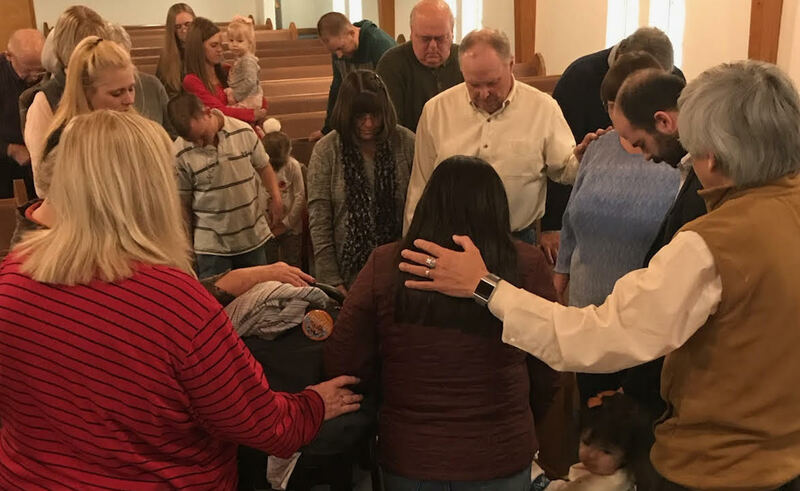 Dale Munsell reported that Albion Cornerstone welcomed 12 new members and celebrated 3 baptisms this Sunday with 2 more baptisms scheduled for April! ​Thank you to each church who has already given to the Wesleyan Emergency Relief Fund established for the tragedy in Mozambique. Just a reminder that the Crossroads District Global Partners Fund is matching the first $10,000 in donations as we respond through Rev. Able Nove and our colleagues planting Wesleyan churches in Mozambique. Our Crossroads District Spring Prayer Retreat is fast approaching. Join Dr. Jim Lo and our team of intercessors who will be leading us in prayer. I anticipate that we will have a special focus on evangelism as our churches prepare for outreach on Easter Sunday. We are meeting at Fairmount Camp on Saturday, April 13, from 10 a.m. until 1 p.m. with a free lunch included. Bring your prayer partners and specific requests for this time of calling on God. Prayer is not preparation for the battle, prayer is the battle! P.S. All ministers under appointment in the Crossroads District will be receiving directions by email for completing this year’s online Annual Service Report. Our headquarters office made changes to improve this reporting so please follow the directions carefully. 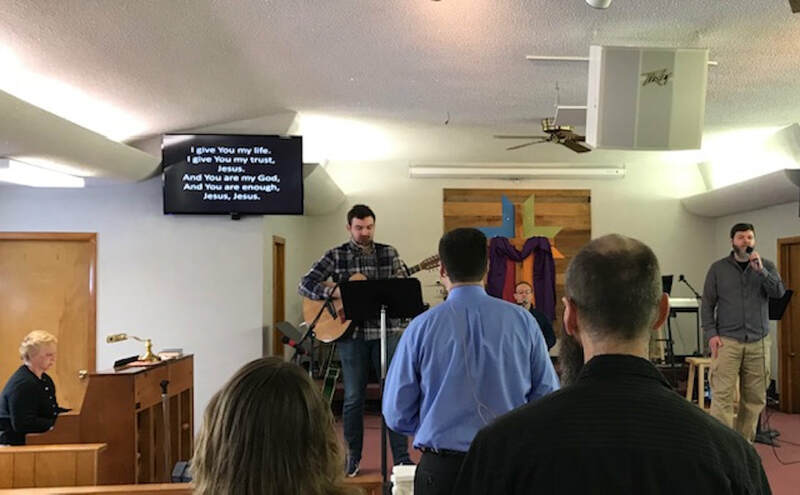 Sunday morning, March 24, I was able to worship with Pastor Mark Atkinson and the team at Eastview Wesleyan Church in Gas City. These are exciting days of Kingdom advancement at Eastview as they prepare to launch their first campus in Jonesboro on April 7 in the building of the former Main Street Wesleyan Church. Rev. Noah Farmer has been commissioned to lead the launch team. Eastview is believing God for 30 baptisms in this conference year. Pastor Mark did a great job casting vision in his message for their 3 focal points: 1) influencing their community, 2) impacting their children and 3) increasing their capacity to fulfill their M&M calling: to Make and Mature disciples. ​Before heading to Eastview, I dropped in at Exit Church, a ministry launched 14 years ago by our friends Darren & Nancy Campbell. Olivia Eckart, daughter of Rev. Jeff & Arriana Eckart, was preaching her last sermon as she wraps up her master’s degree in IWU’s Kern program. The future of the church is bright with emerging leaders like Olivia stepping out to answer God’s call to ministry. 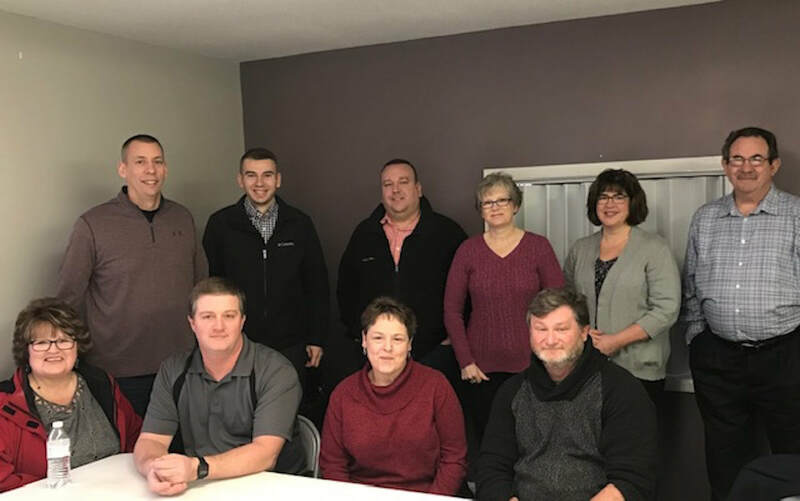 Last week began with a Monday meeting of our Region 1 leaders hosted by Pastor Matthew Trexler and the River Church team in Marion. 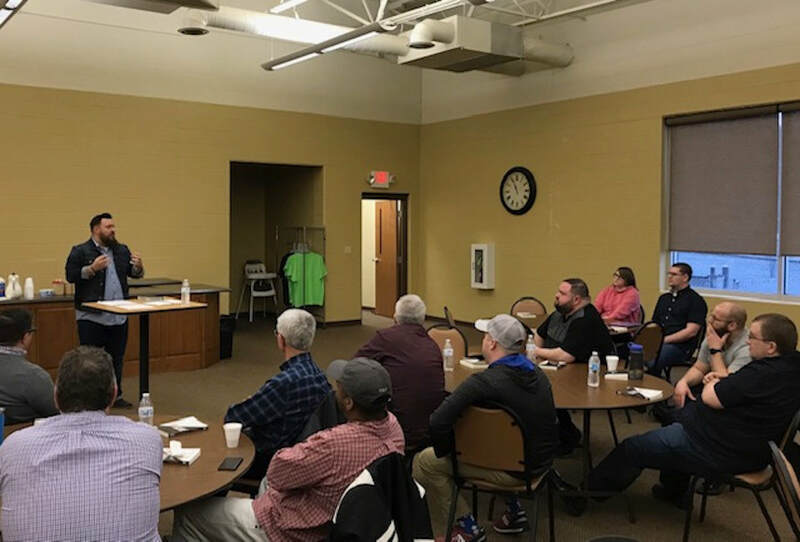 Pastor David Dignal (Edgerton Wesleyan) and Pastor Mark Atkinson (Eastview) shared updates from the multiplication initiatives at their respective churches. We broke into groups for a productive conversation on trends and how they shape the context in which we minister. After the session, we continued the conversations and laughter over lunch at Casa Brava. I’m always encouraged to hear us sharing stories of bold vision and Kingdom-expanding faith from our front line leaders. 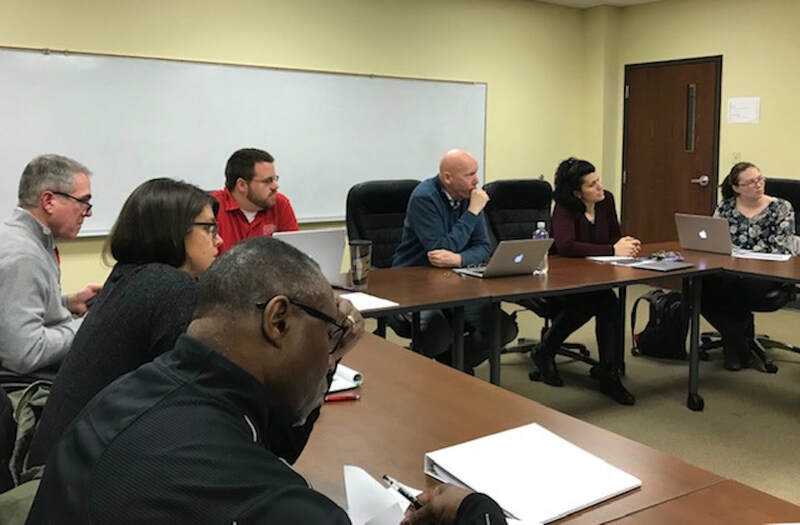 ​Tuesday began with a meeting at IWU with Dr. Jim Lo, Mrs. Sue Wampner, and Dr. David Smith as they finalized plans for our spring Prayer Gathering, April 13 (Registration Link). I appreciate their willingness to adjust the schedule to a one-day event on Saturday to facilitate greater participation by lay leaders and bi-vocational pastors. We’ll be meeting for prayer at Fairmount Campground from 10-1 with a free lunch provided. Later on Tuesday, after our weekly office staff meeting at Abbey Coffee, Pastor Brian Scramlin and I met for our annual coaching conversation. Pastor Brian is teaching through Genesis and has been able to answer tough questions with wisdom and grace. Wednesday afternoon, church planter Rev. Marc Ulrich and I met in Merrillville. Marc and Heather are in their fourth year of planting ReThink Church. Church planting is never easy but they’ve encountered some unique challenges in a city that is heavily Catholic/Lutheran and skeptical of new ministries. They are sowing good seeds through community engagement and making disciples who are now reproducing. Keep these faithful church pioneers in your prayers! Thursday, I was on the road again for coaching conversations with Dr. Ollie Dongell (Plymouth Wesleyan) and Rev. Mike Cloud (The Cross in Rochester). One of the highlights of the day was having Dr. Dongell drive me past the four sites where Plymouth Wesleyan held services after its beginning from a revival service held back in the 1890s. Here’s a picture of the first building they constructed for worship. ​Each of those relocations required faith and sacrifice. Today, they minister to more than 600 people each weekend because of the previous generation’s faithfulness and vision. Thursday evening, I met with the Local Board of Administration at Hartford City Wesleyan Church as they continue in their pastoral search process. 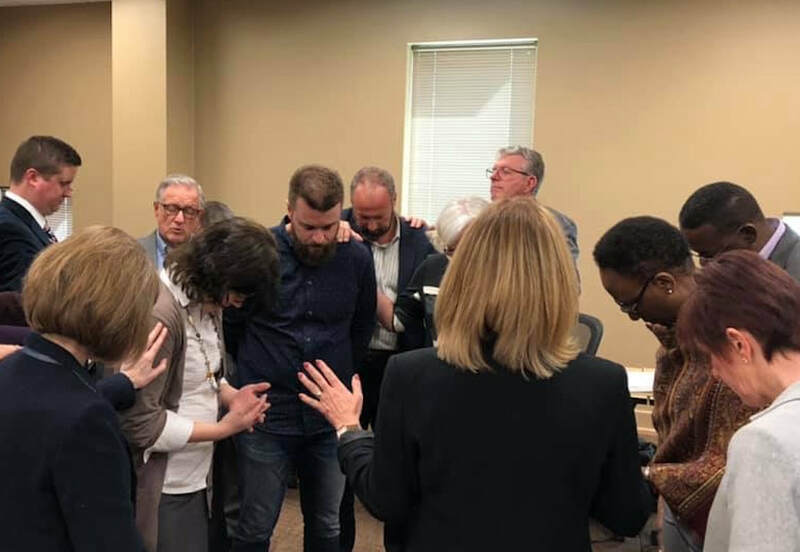 They’ve received a large number of resumes and are prayerfully seeking God’s woman or man who will lead the church into the next chapter of ministry. Friday morning, I met with Dr. Robert Hallett, founder of TLC Ministries, to explore future opportunities to leverage his experience in stewardship development for our Crossroads District churches. Dr. Hallett is semi-retired near Hartford City and would be available to partner with your church in capital campaigns or pulpit supply. Friday evening, I had the privilege of hosting Rev. 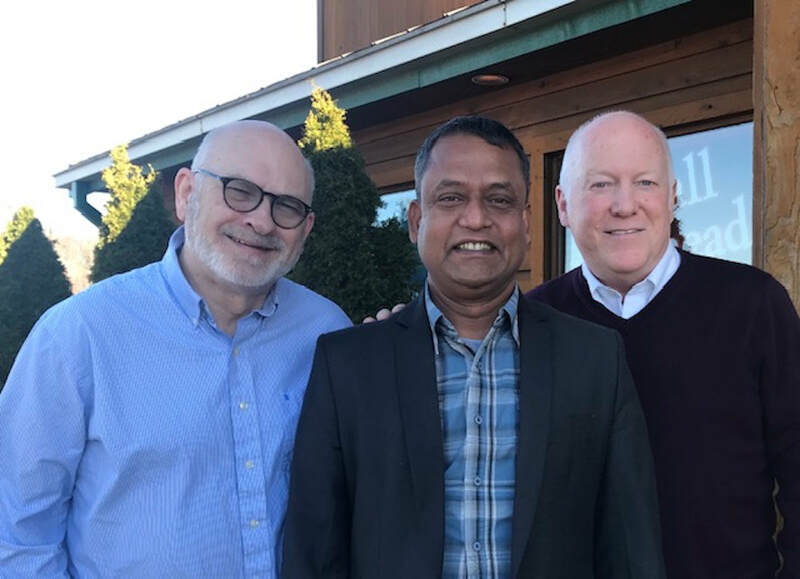 Joshe Bose, National Director of The Wesleyan Church in Bangladesh, and Dr. Richard Schenck for supper in Noblesville. It was good to hear more of their plans for the future in our continued partnership with the Crossroads District. Rev. Bose will be returning to Indiana in April for his graduation from Wesley Seminary. We are planning to take another team to Bangladesh in the coming conference year so let us know if you’d be interested in this vision tour. 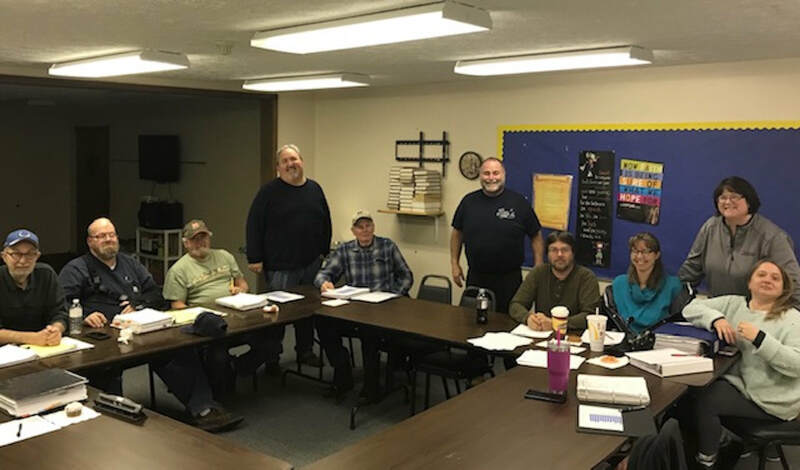 ​Saturday morning, several of our bivocational pastors joined me at The Branch in Fairmount for a meeting designed for those who have responsibilities that preclude their participation in our weekday events. Special thanks to Pastor Jeff Luedtke and his team for hosting this meeting and catering our lunch. Saturday afternoon, I was in Muncie to meet with Rev. Victor and Rev. Claudia Silva who lead Casa del Alfarero, the Hispanic Wesleyan Church in Richmond. I am grateful for their leadership and commitment to reaching their community for Christ. My last stop of the day was at Rising Hope Church’s remodeling project. Rev. John Wiest and more than a dozen volunteers from Indianapolis Trinity jumped in to help with the project. Several of Rising Hope’s congregation that are students at Ball State University also showed up for the work day. The team is excited to finish up this project in the next few weeks so they can move from the middle school into their permanent home. Thank you to each of our churches who are praying, giving and volunteering to help this new church get off the ground! Many of you have heard of the devastating cyclone that ravaged northern Mozambique. General Superintendent Dr. Wayne Schmidt has issued a call to activate WERF, the Wesleyan Emergency Relief Fund. Mozambique is one of the two mission fields that the Crossroads District has been partnering with in recent years. Our district Global Partners co-leaders, Rev. David Hines and Rev. Steve Mathews, are challenging us to respond to this urgent need and will be releasing matching funds at churches give. You’ll receive a further communication from our office later this week, but begin now praying about how your church can respond to this crisis. 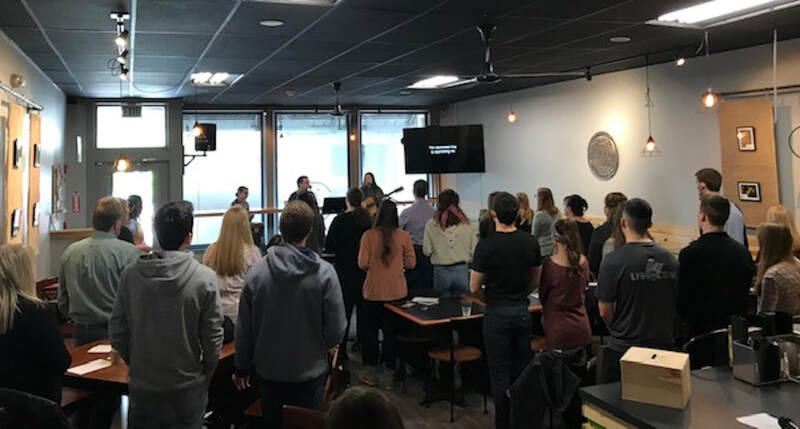 Sunday morning, March 17, I had the privilege of worshiping with Pastor Jarod Osborne and the team at Warsaw Pathway Church and preaching in both of their morning worship services. These are exciting days at Pathway with more than 30 people responding to an altar call last weekend to become missionaries in their community. 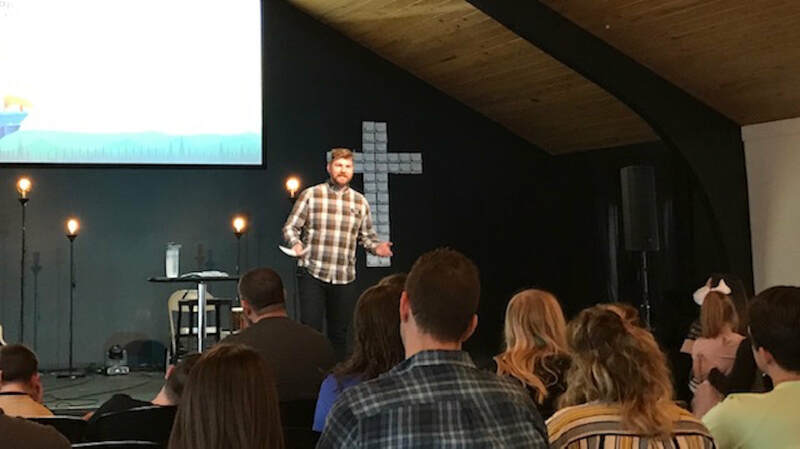 Pastor Jarod leads a young and gifted staff who are committed to making a difference among the 52,000 people who are still unreached in Warsaw and Kosciusko County. 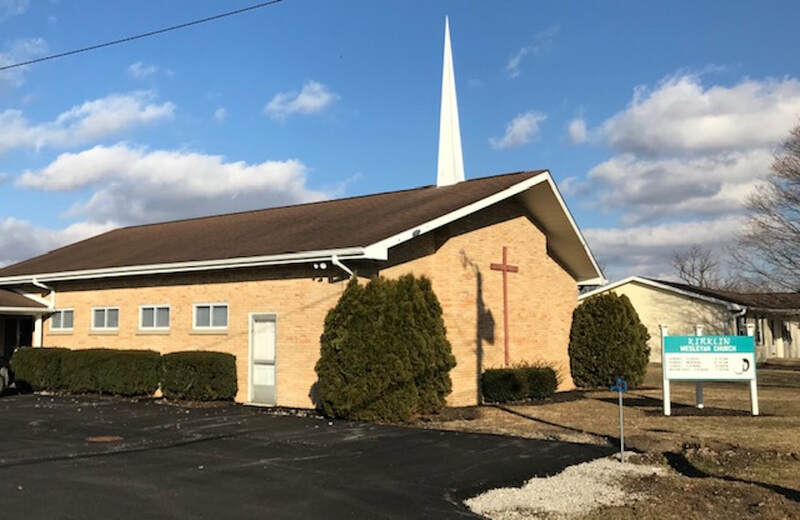 ​Sunday evening, I met with the LBA at Gas City Southside Wesleyan Church as they voted unanimously to recommend an extended call for Pastor Brent Miller. Pastor Brent and Naomi are making a difference in turning the church outward to serving Gas City. Last Monday, after completing the Team Update, I was in Marion to check in with Roxene Lo at her office and then I met with a prospective church planter over lunch. 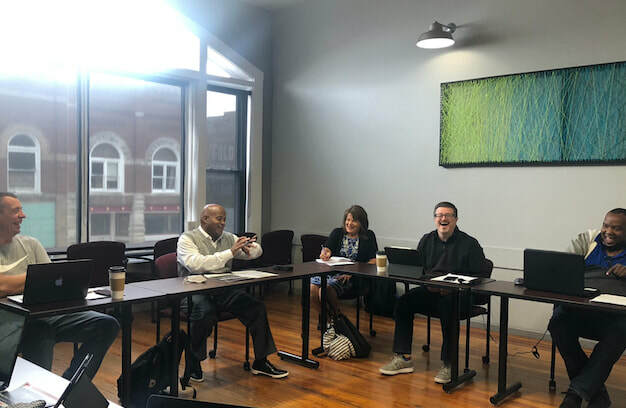 Tuesday morning, I met with our district staff at Abbey Coffee and then connected with Pastor Mark Atkinson in Gas City for our annual coaching conversation. Pastor Andy Cole, Tim Johnson and I met in Anderson for an update on the revitalization project that he’s leading at Lapel Daybreak. Tim is a key leader serving alongside Pastor Andy. 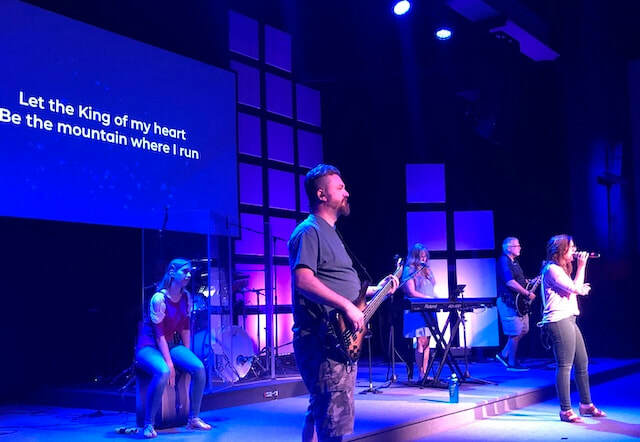 It was an encouraging progress report of how the church is rebounding and will be adding an additional worship service leading up to Easter Sunday. Tuesday evening, I met with Pastor Calimerio Rodriguez (Frankfort Templo de Poder) and a prospective church planter in Frankfort. Pray that God will open the right door for a possible Hispanic church planter in Lafayette. 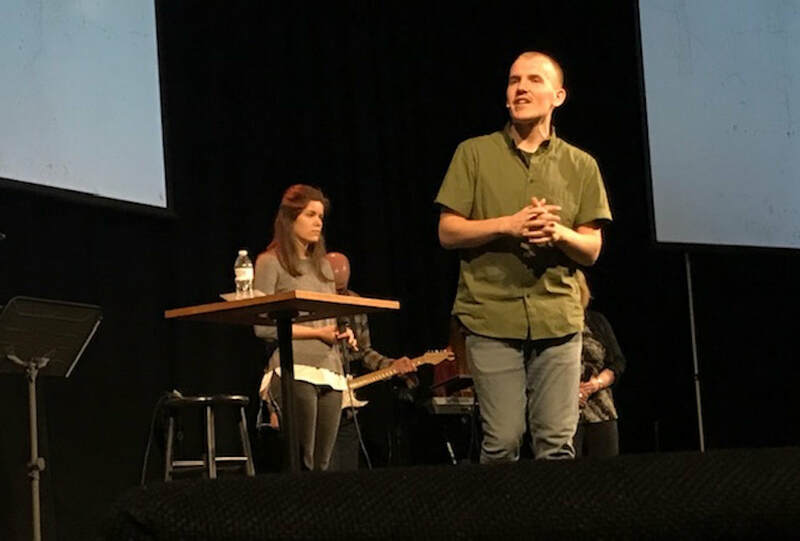 Wednesday morning, I was in Fishers to met with Chris Classen, the new executive pastor at McCordsville Harvest Church. Pastor John Freed (Waterline Church) and I met over lunch for our annual coaching conversation. These are exciting days at Waterline as they’ve successfully launched their first campus in Pendleton. 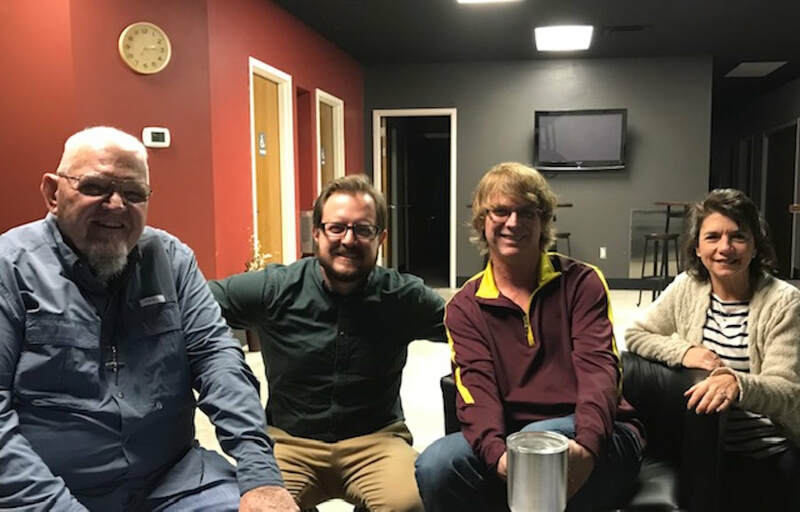 Pastor John Miller and I met in Avon for an update on the progress of planting Way City Church and then I met with a young pastor who is prayerfully considering coming into The Wesleyan Church. My last meeting on Wednesday was with Pastor Neftali Lopez as we signed some property documents for Carmel Amistad Iglesia Wesleyana. ​Thursday morning, I joined Rev. 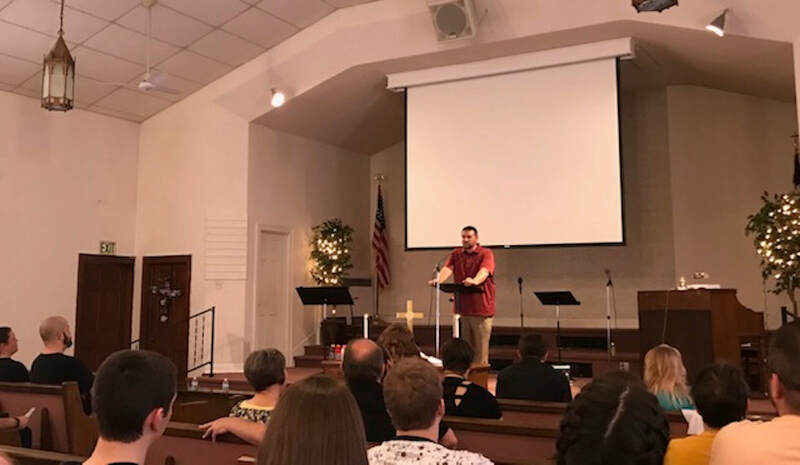 Williams, Assistant DS, at Plymouth Wesleyan Church as Chris led the Region 3 spring gathering. Dr. Ollie Dongell and his team are always gracious hosts for this gathering and there was a strong showing of pastors from across the region. Pastor Johnnie Blair brought an inspiring update on the progress they’re making at Tipton Trinity as the church has refocused on the Harvest and is preparing to launch their first campus in Kokomo. Thursday afternoon, I was back in Marion to meet with Rev. Juden Sia, one of the district superintendents of the Zambia Wesleyan Church. My last meeting of the day was with Rev. Ben Parker and the LBA at Fairmount Back Creek Wesleyan Church. The LBA unanimously affirmed Rev. Parker’s extended call. I also dropped in to see their “Dinner & A Movie” event that they were hosting in their fellowship hall. This has become a positive opportunity for connecting the families in their church and inviting guests. Friday morning, I connected with Rev. Paul James, lead consultant, and the Maximizing Impact team who were in serving at Albion Cornerstone Wesleyan Church. Pastor Dale Munsell and his team received the team’s report on Sunday morning and Rev. Chris Williams, Assistant DS, will be back in two weeks to host their town hall meeting. Friday afternoon, I met with Rev. Kory Christensen at New Haven Impact Church for our annual coaching conversation. 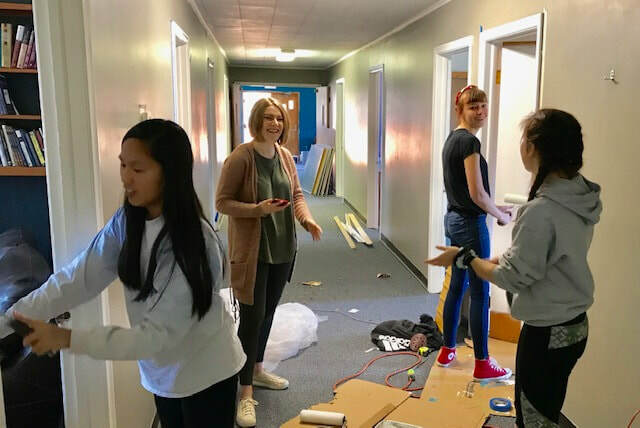 Impact Church is one of our younger congregations and I was encouraged to hear more about their commitment to discipleship and significant community engagement. 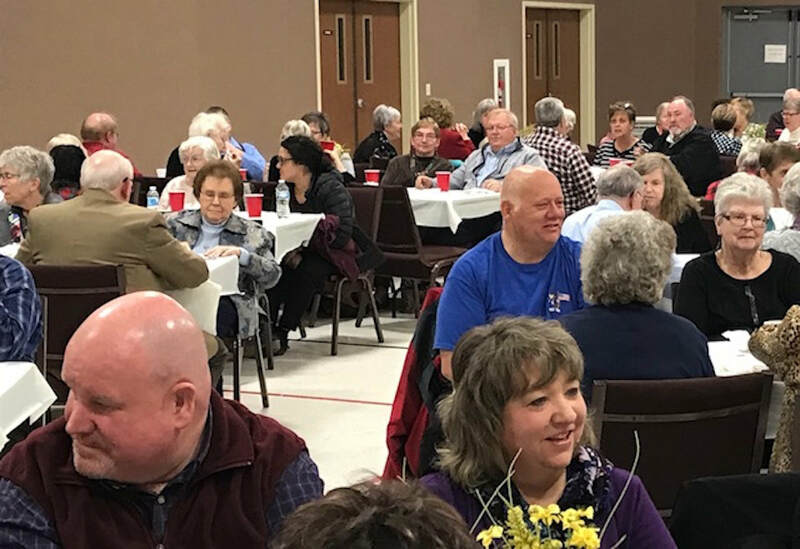 ​Friday evening, Sherry joined me as we attended the Senior Adult Ministry (SAM) Banquet at Tipton Trinity Wesleyan Church. They had a great turnout for the meal and special presentation by Gary Varvel, awarding winning editorial cartoonist. Congratulations to Randall Hudson and his team for hosting this wonderful event. Saturday morning, I was able to connect briefly with Pastor John & Danielle Freed in Fishers as they led our Church Planters Boot Camp hosted at Wesleyan Headquarters. John and Danielle do a great job leading prospective planters through this strategic planning process. Dr. Richard Schenck and the Region 2 DBMD were also meeting on Saturday so I joined them in the afternoon for licensed minister interviews at the Indiana Wesleyan University North Indy campus. We have amazing leaders answering God’s call to ministry and I am grateful for the many DBMD team members who invest significant time and energy in this important development process. 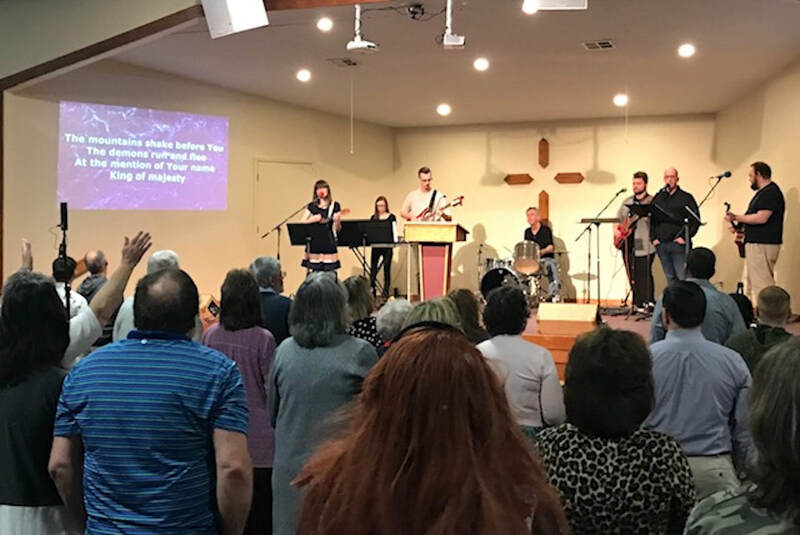 ​Highlights this week will include the Region 1 meeting on Monday morning at The River Church in Marion led by Pastor Matthew Trexler, Assistant DS. It’s always encouraging to connect with our pastors and hear the stories of how God is moving to change lives. 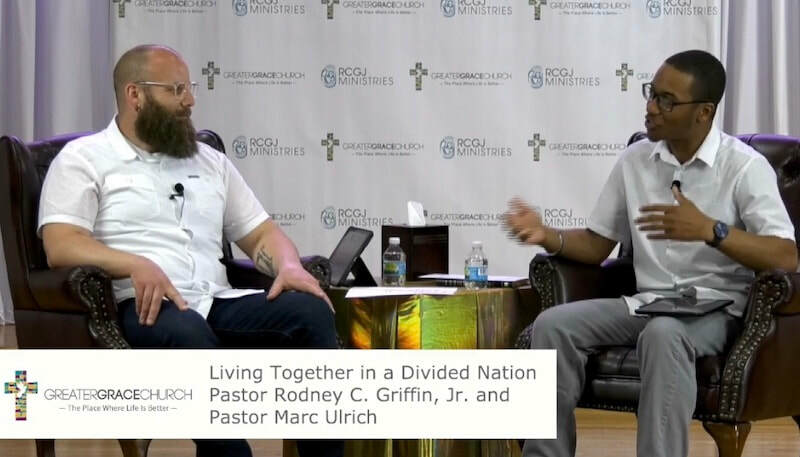 I’m also looking forward to hosting a connection event for our BiVo (Bi-vocational) pastors on Saturday morning, March 23, at the Branch Coffee Shop in Fairmount (from 10:30 to 1, with lunch provided). Many of our pastors have additional employment responsibilities that preclude their participation in weekday gatherings so this is an opportunity for them to gather for fellowship, encouragement, learning, and support. If you’re planning to join us and still need to RSVP, please email Seth@CrossroadsDistrict.org). I received notice of the unanimous vote at Lifeway Wesleyan Church in Fort Wayne for another 4-year call for Rev. Rick Fletcher to continue as senior pastor and a 98% positive vote for Rev. Andrew Jellison to become Associate Pastor in the LBA-recommended succession plan. Congratulations to both Pastor Rick and Pastor Andy on this strong vote of affirmation of their ministry and future transition. ​Congratulations also to Rev. Dr. Jim Dunn, a ministerial member of our Crossroads District team, on his selection by the Board of Trustees to become the next president of Oklahoma Wesleyan University. Dr. Dunn will be the sixth president of OKWU as he succeeds Dr. Everett Piper this summer. I have every confidence that Dr. Dunn will do a terrific job at OKWU building on the amazing turnaround led by Dr. Piper. Last week kicked off with Exponential in Orlando. 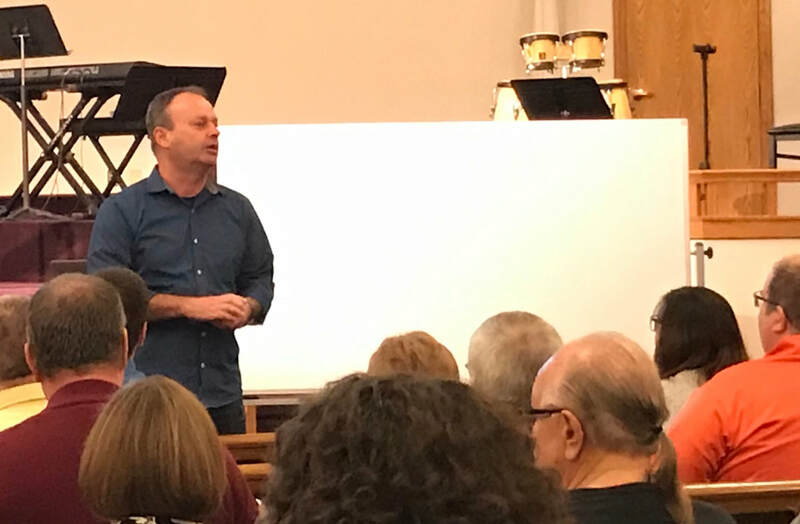 I flew down on Monday for an evening event hosted by The Wesleyan Church which featured presentations by multipliers from across our movement. The Crossroads District was well represented that evening with Danielle and John Freed serving on one of the panels. 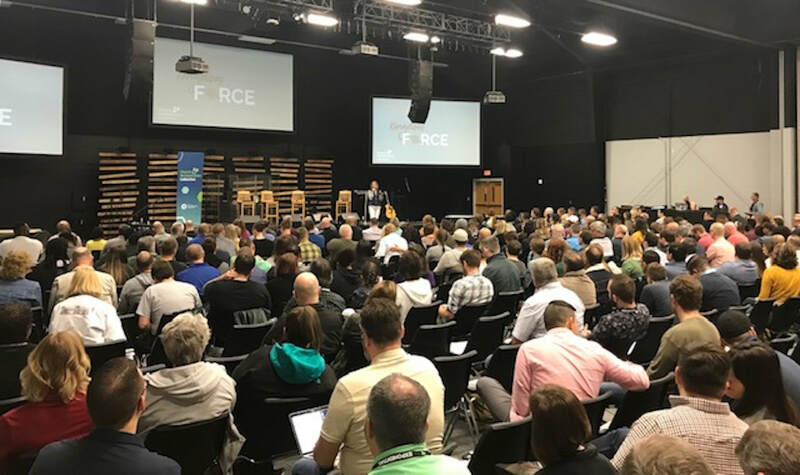 More than 400 Wesleyans gathered at Exponential this year making us one of the largest groups represented at this national conference. 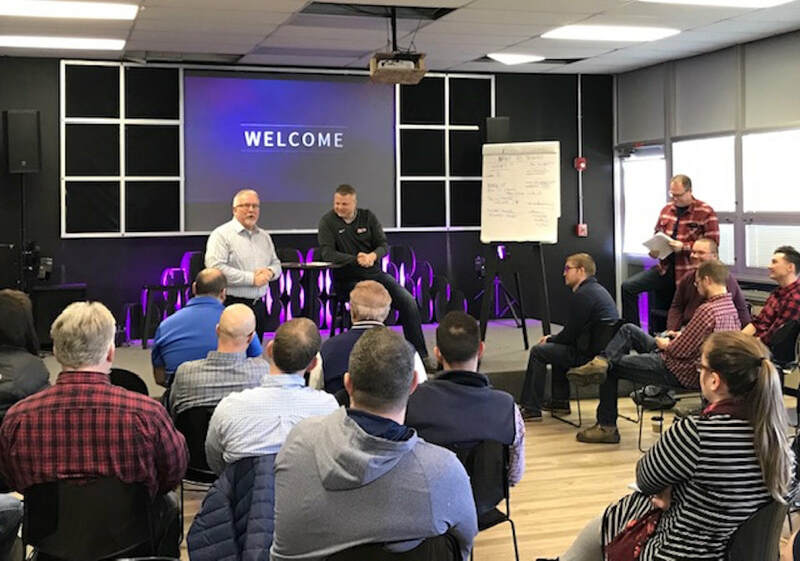 Tuesday morning, Dr. Wayne Schmidt and Dr. Ed Love rallied our team in a pre-conference event with the call to sharpen our focus on making disciples and multiplying congregations to close the Gospel gap. We are making progress but the need has been expanding faster than we’ve been planting. The regular conference began at noon on Tuesday and concluded at noon on Thursday. 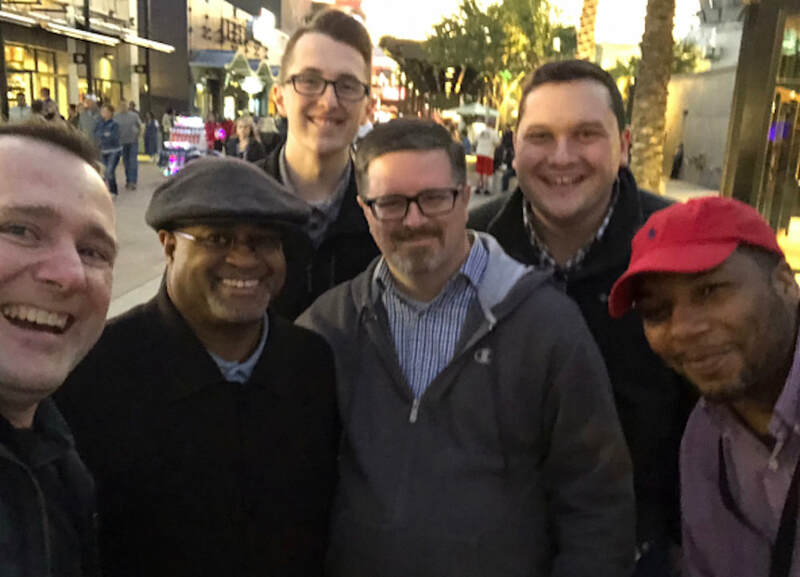 The Crossroads District had more than 50 participants so Assistant DS Chris Williams, District Multiplication Director Michael Hewitt, and Seth Bye hosted a supper event for our team in Disney Springs on Wednesday evening. The largest delegation from our district came with Pastor Terry Vaughn and The Bridge Urban Church in South Bend. ​In addition to a strong turnout in Orlando, several of our pastors took time to watch the event free online. I flew back early on Wednesday and also watched from home. We will have the digital all-access pass available at the district office if you were unable to attend Exponential 2019 and would like to watch the sessions. Thursday, I was in Marion for a lunch meeting with a prospective pastor before meeting with a potential church planter and his sending church pastor. Friday morning, I was in Indianapolis to meet with an out-of-state pastor who is feeling called to inner city ministry. Friday afternoon, I stopped by Brookhaven Church to extend condolences on behalf of our district family to Pastor Rob Tippey on the passing of his grandfather, Dr. Byron Tippey. The memorial service was held at Brookhaven on Saturday morning. Friday evening, Sherry and I hosted the pastors and spouses from the Fort Wayne Zone. We had a great time of fellowship and prayer with these leaders. We also talked about potential church planting partnerships ahead for greater Fort Wayne. Saturday morning, I joined Assistant DS Mike Colaw as he convened the pastors of Region 2 for a delicious breakfast followed by encouraging time of worship and fellowship. It was exciting to hear about the doors for ministry that God is opening in the inner city, in prisons, in schools and in nursing homes. I celebrate the spiritual entrepreneurship and collaboration that is being unleashed as we step out in faith to follow Christ into His harvest field here in Indiana. Special thanks to Pastor Colaw and his team (especially Barb) for graciously hosting! This weekend marked our 35th Anniversary so Sherry and I drove to Grand Rapids on Saturday evening to be with some of our children and with Rev. Steve and Beth (Gorveatte) Jones, my sister and her husband. We were married on March 10, 1984 and they were married on March 10, 1986. Sunday morning was a special highlight for us as we worshiped at Journey Church in Caledonia, Michigan. Sherry and I had the joy of helping to launch Journey Church in our living room while I was serving as District Superintendent in West Michigan. Now, Joel (our youngest son) serves on staff at Journey with founding pastor Rev. Jon Allen. Joel brought the morning message and Christie, his wife, led the worship team. We are thankful for all of God’s blessings but nothing means more to us than watching our children follow God. The countdown is on to ReEquip (April 6), the Prayer Retreat (April 12-13) and Easter (April 21). We are delighted to welcome Rev. Mike & Tina Hilson as our guest speakers at ReEquip. 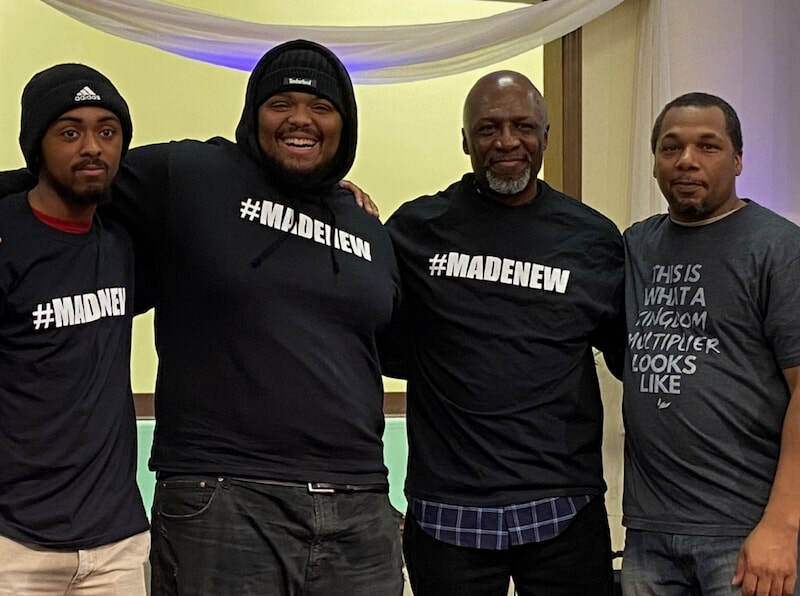 God has been working through them to write a miracle story at the New Life Network in LaPlata, Maryland. We also have breakout sessions planned for your children and youth workers all together at Brookhaven Wesleyan Church in Marion, so please don’t come alone. Register your group today! 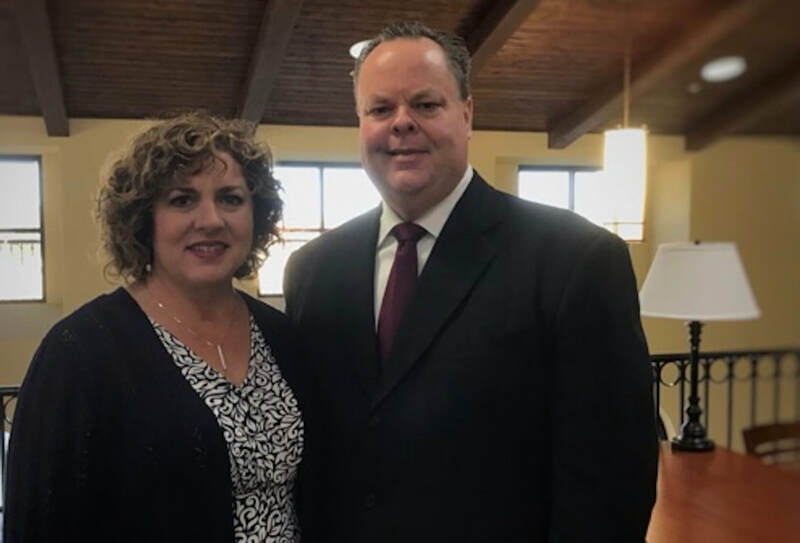 ​This is pastoral vote season in our district and I received word that Winchester Wesleyan Church voted unanimously yesterday for Pastor Randy Yaryan to continue his service for another four years. Dr. Jim Lo has been leading a revitalization initiative at Chesterfield Parkview Wesleyan Church which included a succession plan. Yesterday, Parkview Wesleyan Church voted unanimously to call Rev. Jeremy Armiger as their next lead pastor. Dr. Jim Lo has agreed to join Jeremy’s staff as they continue moving the church forward in reaching their community for Christ. Pictured below is Dr. Lo and the congregation praying over the Armigers as they accepted this call to lead. ​Please remember our Church Planters Boot Camp in your prayers this week (Friday and Saturday in Fishers). 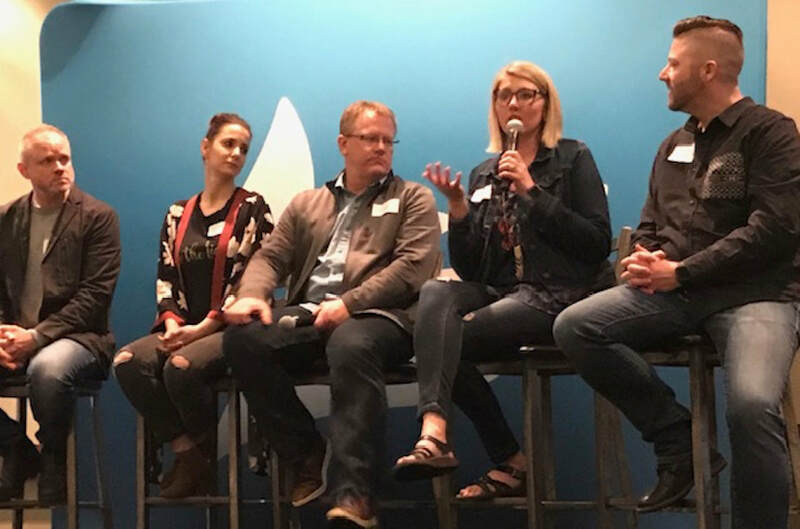 Pastor John and Danielle Freed do a terrific job in helping our prospective planters develop strategic plans for effectively making disciples and establishing new churches among unreached people in our mission field. Pray that God will anoint and empower these sessions! Sherry and I had the privilege of worshiping with Pastor Duane and JoEllen Seitz at Silver Lake Wesleyan Church for their Friend Day. Pastor Duane received and accepted a new 4-year call to serve this rural congregation. When some people might be relaxing and enjoying their retirement years, Rev. Seitz has been leading this turnaround project with vision and sacrifice. Last year, Pastor Duane personally knocked on the doors of every one of the 364 homes in town to offer to pray for them. This year, Pastor Duane is starting out on a second round of door-to-door visitation to share the plan of salvation. Following the service, we shared in the fellowship meal and then I led a brief meeting with the LBA. Another praise point was the generous $365 offering Silver Lake gave at Christmas to participate in our Bangladesh partnership. 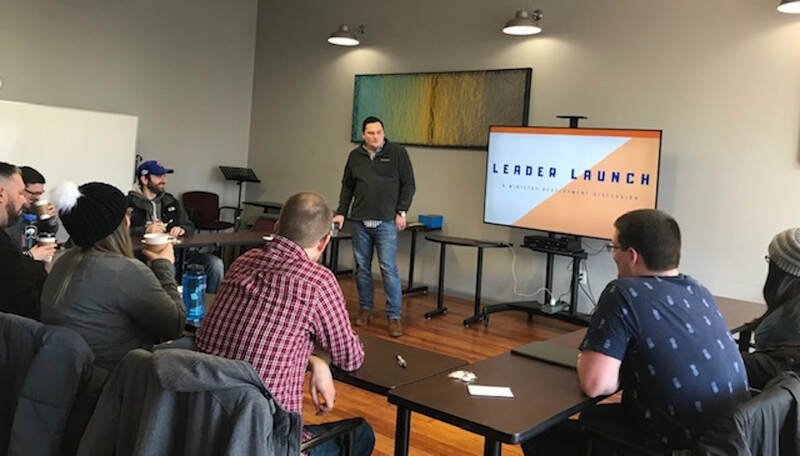 ​Last Monday, Seth Bye led a Young Leaders Listening Tour at The Branch Coffee Shop in Fairmount to learn how our Crossroads District can better serve pastors and staff members who are starting out in their ministry journey. Chris Williams was assisting Seth and I was able to sit in on part of their meeting. The future is bright with leaders like these joining the team. ​Tuesday morning began with our office staff meeting at The Abbey Coffee in Marion before I headed out to Muncie to meet with Rev. Paul Walden (Muncie 18th Street Wesleyan) for our annual conversation. I was also able to connect with Pastor Mike Hewitt while in Muncie and rejoiced with him over the Ball State student that he led to Christ on Monday evening. My last meeting of the day was in Avon at Nehemiah Church for a meeting with Pastor Ben Thomas and his leadership team. ​Wednesday morning, I met with Pastor Steve DeNeff (College Wesleyan Church) for our annual coaching conversation before heading over to the World Changers Convocation honoring Ernie Johnson, Jr., at Indiana Wesleyan University. Over lunch, Pastor Tony Bye (Brookhaven Wesleyan Church) connected for our annual coaching conversation. Wednesday afternoon, Calebb Proehl and I met over coffee. Calebb (yes, it is spelled with “bb”) is our newest team member who is transferring to us from the Nazarene Church to lead the student ministries at The River Church. My last meeting of the day was a coaching conversation with Pastor Steve Colter (Chapel Pike Wesleyan). Thursday was a long but productive day. 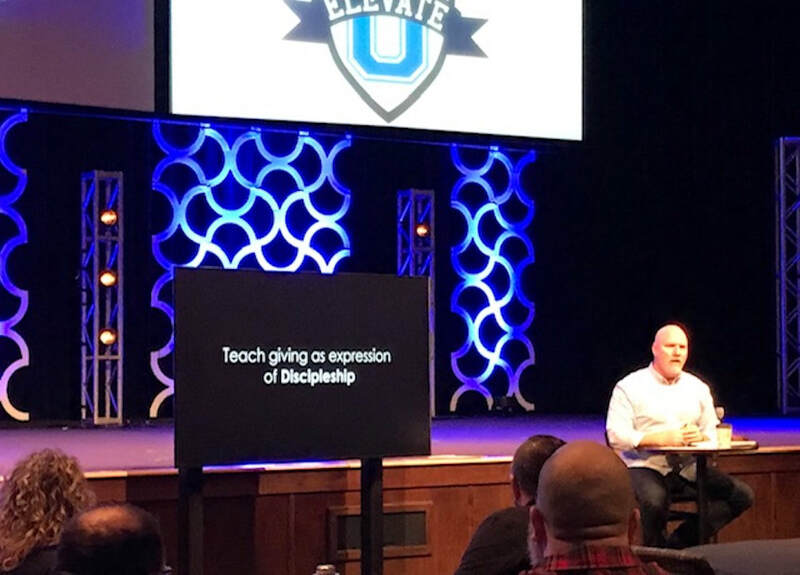 I drove to Cypress Wesleyan Church in Columbus, Ohio for the next installment in the ELEVATE leadership development initiative that we’re sharing in the Heartland Region. Pastor Ken Murphy and his team were gracious hosts for the event and Ken shared powerful lessons for church leaders. ​Following the ELEVATE sessions, I spent another 3 hours with the other district superintendents in our Heartland Region before heading home. Plans are coming together for next year’s Heartland Regional Gathering in Pigeon Forge. Please mark your calendar for March 10-12, 2020 and plan to join us! Friday morning, I met with Pastor Duane Seitz in Marion for our annual coaching conversation. 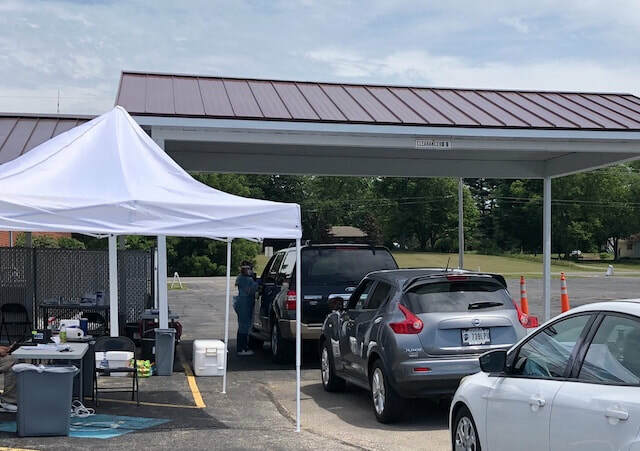 Friday afternoon, Assistant DS Chris Williams and I met for our weekly check in before a busy weekend that had Chris and Matthew Trexler leading a StratOp refresher for the team at Fountain City Wesleyan Church. ​Friday evening, Sherry and I had the special privilege of welcoming Rev. 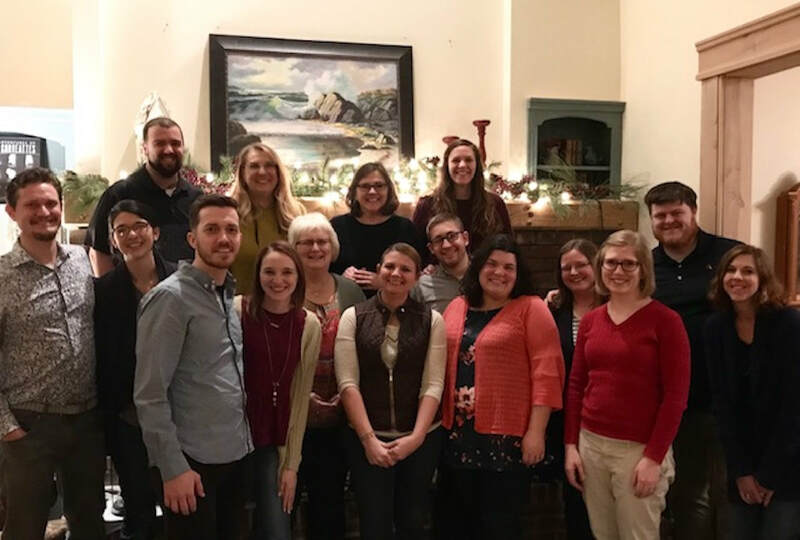 Michele Henry, our Crossroads District Children’s Minister Director and a wonderful group of 14 children’s ministry leaders from across our district. I appreciated this opportunity to hear what they’re learning as they’re ministering to the next generation and the families of our churches. It was a blessing to be able to say “thank you” to these leaders and to share in worship and prayer together. Saturday, I was in South Bend to meet with Rev. Terry and Lennaire Vaughn, our church planters who are preparing to launch The Bridge Urban Church. They’ve been diligently looking for options for space in which to launch this exciting new ministry. After knocking on many doors, they were excited to show me the space that God has opened up for them at the Century Center convention hall. The space is great and the lease was very reasonable. ​They were able to meet there this weekend with their team. The launch is being planned with a special kickoff in partnership with Pastor Troy Evans and the artistic team from The Edge for a “Love Your City” event in May. Pray that God will continue to grant them favor for this disciple-making ministry focused on youth in the city center. 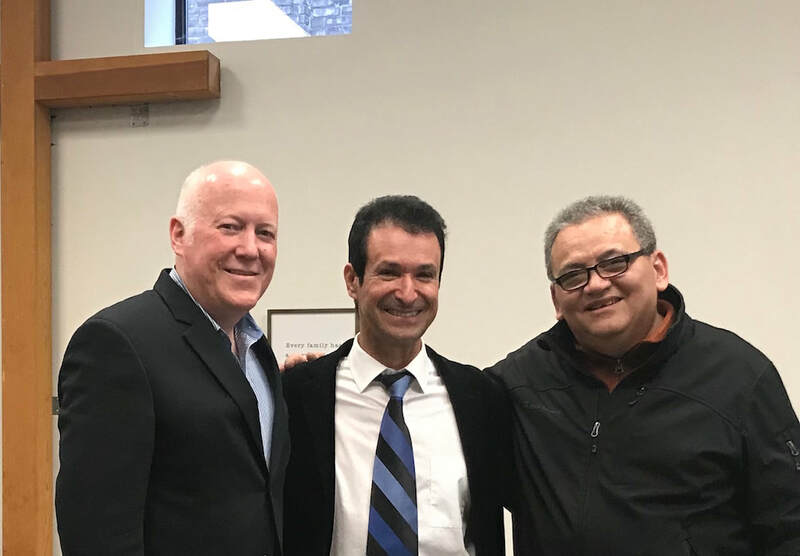 I left South Bend in time to stop in Elkhart to connect with Pastor Guerrero and the team at Cielos Abiertos Wesleyan Church. They were hosting their first youth group connection at their home. I enjoyed meeting these students and telling them about the ministry training and camping opportunities that our district offers. 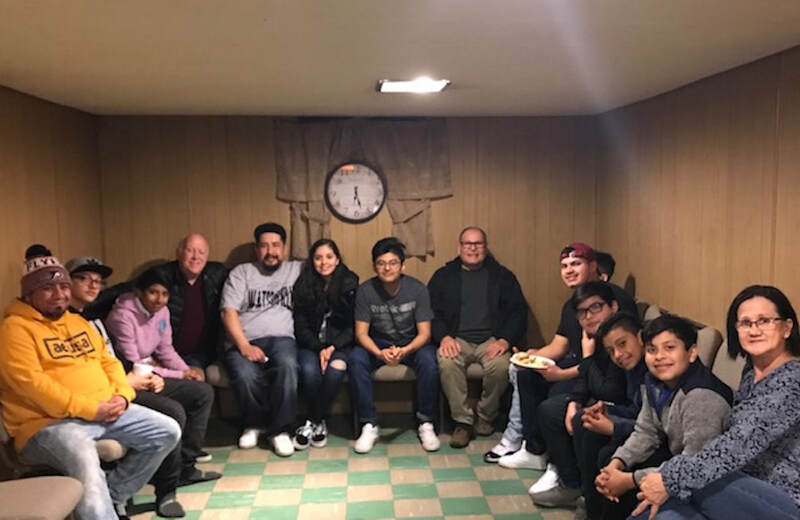 Pastor Guerrero is also working with a home Bible study group in South Bend that may become the base camp for another Hispanic church plant. Praise God for these steps of progress! ​Rev. Joe Jackson received a unanimous call to become the next pastor at Anderson United Wesleyan Church, succeeding Rev. Clifton Ashlock who will be retiring this summer. We’re looking forward to welcoming the Jackson family back to the Crossroads District. ​Pray for the 50+ leaders from our Crossroads District who will be attending the Exponential Conference in Orlando. More than 400 Wesleyan leaders are registered for this premiere event focused on church multiplication.